No errors if you don’t close the <img> tag. <header>: The header part of your site or page. <nav>: The links to other pages. <section>: A chapter in a book or a section in a chapter or anything that has its own heading. <article>: An independent entry or paragraph in a chapter or blog. 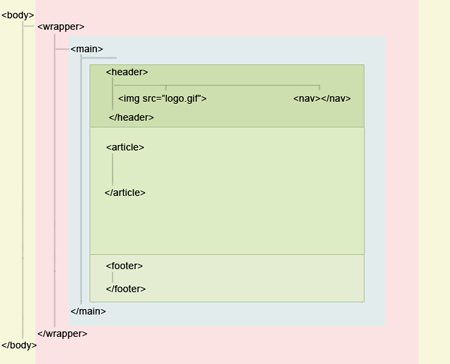 <footer>: The footer part of your site or page. <blockquote>: Any block to quote. Oh yeah, I also made some changes to the syntax of my site according to the improved HTML5 syntax, header.php in this case, before proceeding to the semantics. Check the list below for the previous and the current syntax used. 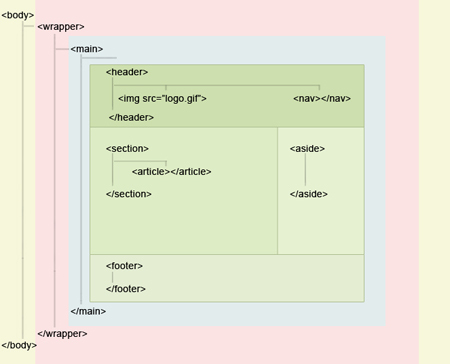 Replacing those generalized divs with the new semantic elements listed below. Removing the default <div id=”container”> completely from everywhere. Using <blockquote> for highlighted blocks and <mark> to mark stuff. Code view of the pages with sidebar and the visual example. Code view of the static pages without sidebar and the visual example. The structure need not to be necessarily how i used here, it does depends upon the theme and your design flexibility. You can make use of the new semantics as per the demand of your design so just start playing with these amazing elements I am sure it will prove to be handy as possible.